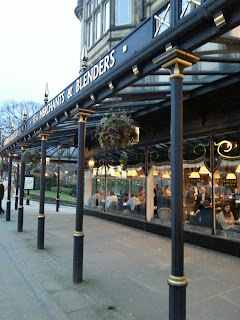 Last month, I was easily persuaded by my best friend S to visit the Queen of Tearooms, Betty's in Harrogate. 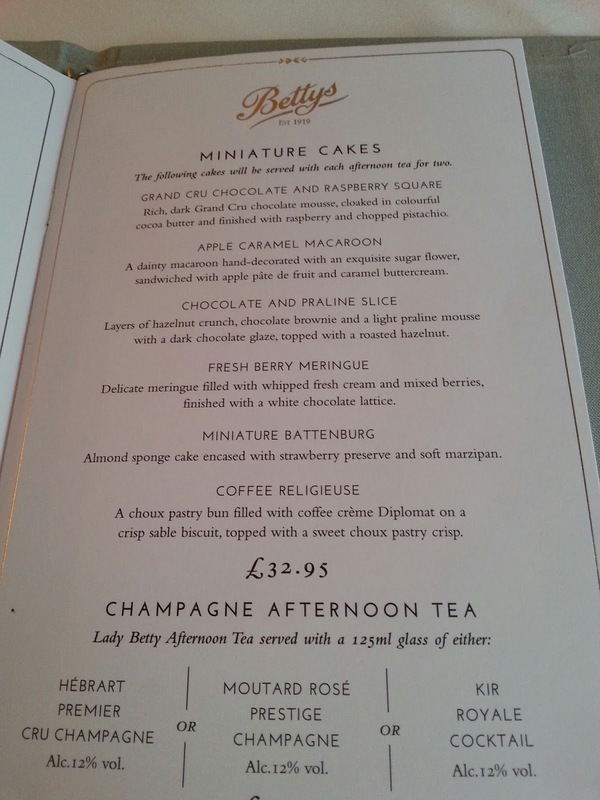 It was for a slightly special occasion - any excuse really - so, we splashed out on a five course 'Lady Betty Afternoon Tea' for £39.95 each in the Imperial Suite. 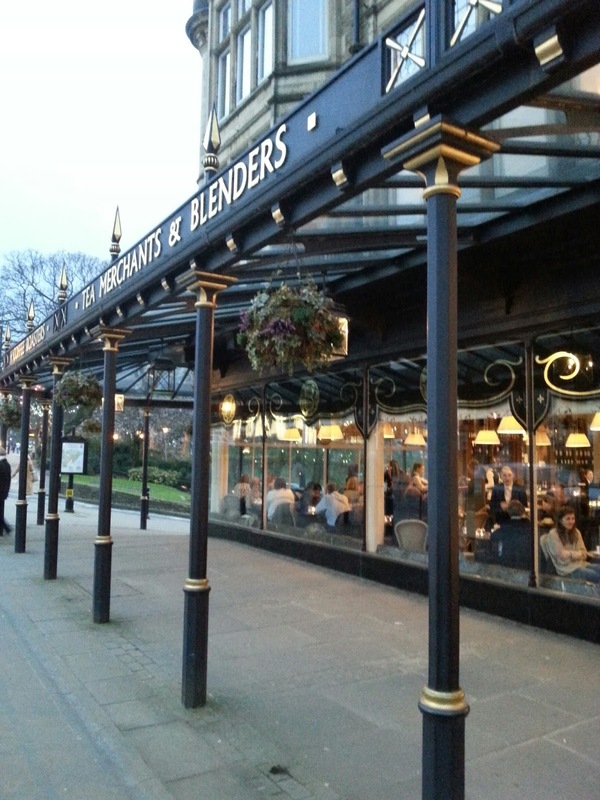 Betty's is one of my favourite places on Earth - a shrine to my favourite meal in the beautiful surroundings of genteel Harrogate. As you step in the door, you know you're in for a treat. It is both unpretentious and extremely smart at the same time. 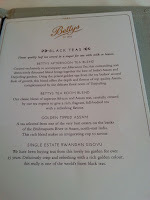 I was very impressed by the menu - a mix of the exotic and the familiar, an imaginative twist on the traditional afternoon tea. When it arrived, we weren't disappointed. 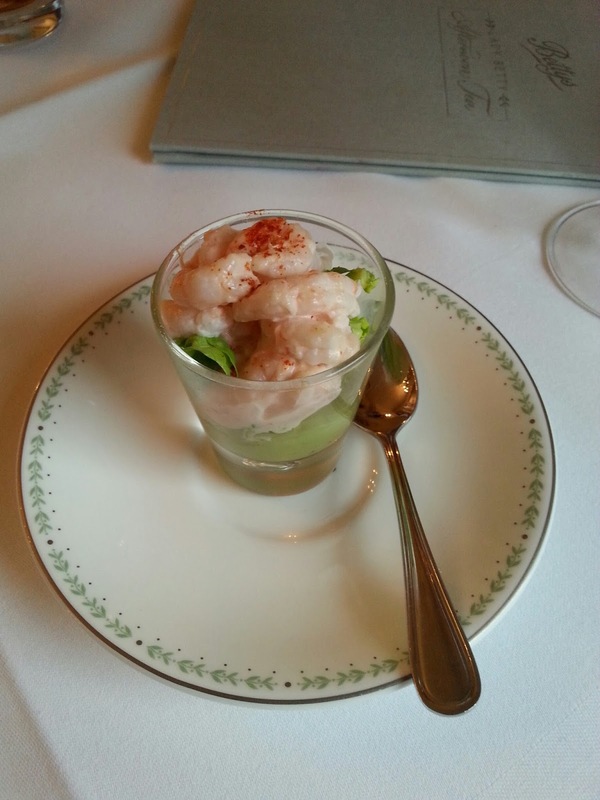 It started with an amuse bouche - an avocado prawn cocktail for me and a tomato salsa for S. It was light, creamy and divine. 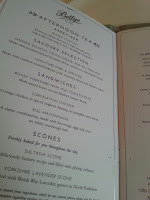 I loved the delicate bone china too - a lovely little touch, and different to the crockery served in the Café Tearoom. Then the 3 tiered cake stand came out with the afternoon tea. 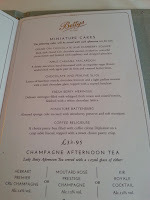 We were delighted to see thickly filled finger sandwiches, scones and beautifully-crafted artisan cakes. The only complaint we had about the sandwiches was that there weren't enough of them! We asked for more, naturally, so we each could taste each type. 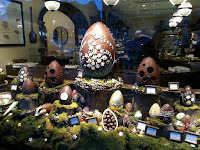 I was very impressed with the fillings - traditional egg mayonnaise and coronation chicken. They reminded me of childhood picnics. 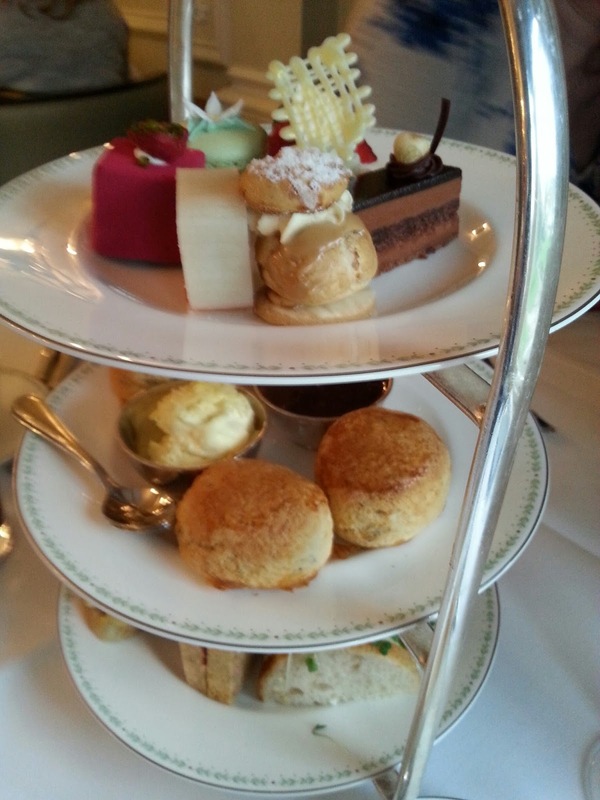 The scone course was very good too. My friend hates dried fruit, so I ate the fruited scones and she had the Yorkshire lavender ones. 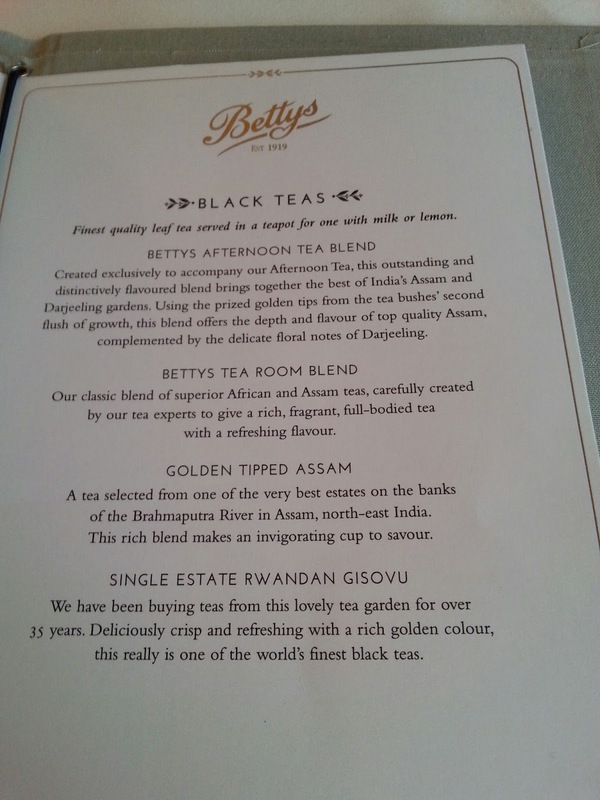 The scones were a little on the small side, but in keeping with the delicate, gentrified nature of the Lady Betty afternoon tea. I guess not everybody wants as hearty an afternoon tea as I do! 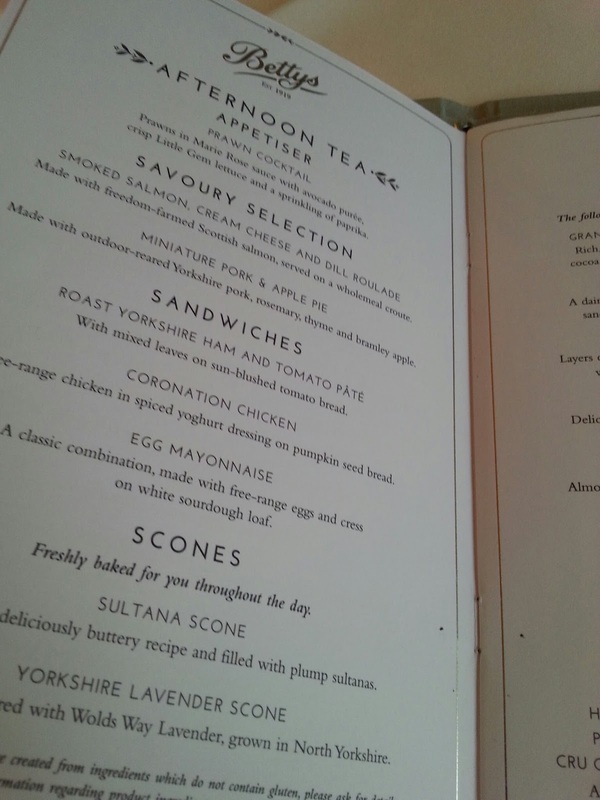 Also, the scones were cold, which again is only a personal niggle. However, the jam and cream were flawless. Beautiful clotted cream and raspberry jam. The cakes were amazing. I avoid coffee flavoured cakes as a rule, so was a little nervous about trying the coffee cream religieuse, but it was delicious! Creamy, sweet with a hint of tanginess. It may have converted me to the way of the coffee bean... There was a pink cake shaped like a perfect cube, the fresh berry meringue, which was soft and sweet, but there was a slightly dubious edge to it - an added green garnish which had an odd taste - coriander or dill or something incongruous. But the chocolate and praline slice was absolutely gorgeous. 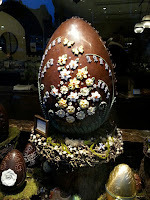 Suitably satisfied and not overfull, S and I perused the beautiful shop, bought some little cakes for everyone at home, and eyed up all the amazing Easter chocolate creations. I will be hinting quite strongly at Mr CTC for a Betty's Easter Egg this year!